When we talk about the land of cherry blossoms, Japan is usually the first one that comes to mind. However, in recent years, more savvy travellers have been seeking out alternatives (where the blooms are just as beautiful) like Taiwan and South Korea. If you’ll be in Japan, South Korea or Taiwan during Spring, then here’s a piece of good news for you! 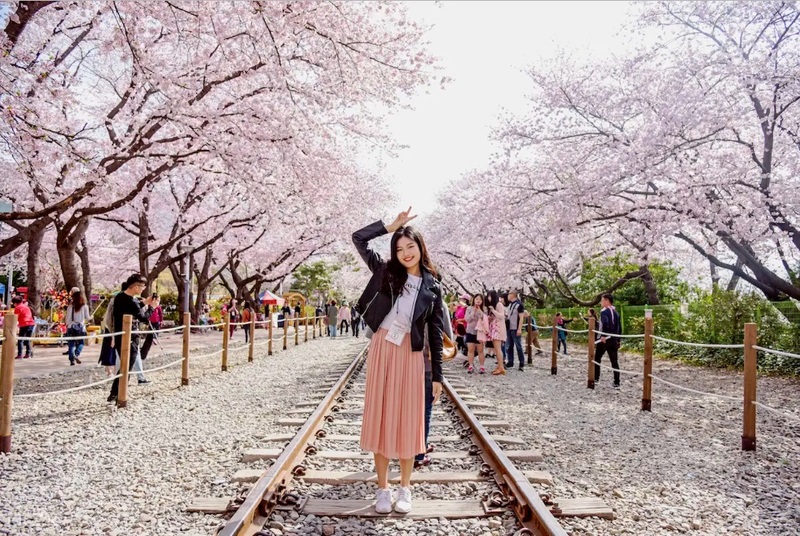 Klook, one of the world’s leading travel activities and service booking platforms, has curated a wide selection of opportunities for you to take in the beautiful sights of cherry blossoms at locations that will surely leave you in awe. Spanning across 700 hectares, Wuling Farm has an overwhelming array of blooms at its peak with thousands of flowers that can’t be missed. You’ll first meet up with your tour guide at the specified train station before boarding the shuttle bus that takes you to Wuling Farm. On the way to the location, you’ll also get to stop by a quaint tea village! Have fun at the Formosan Aboriginal Culture Village amusement park and see lovely cherry blossoms at the same time. You’ll also get to embark on a scenic cable car ride, which will give you a unique bird’s eye view of the flowers! 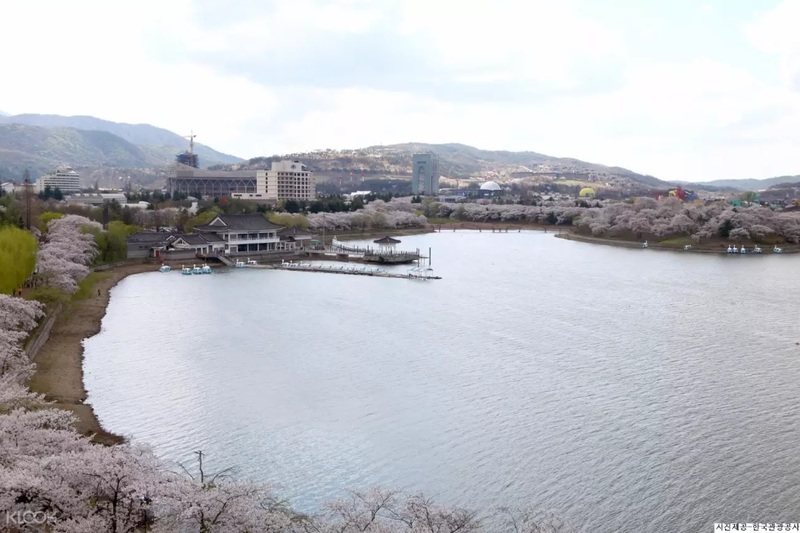 This tour will bring you to 3 specially selected spots selected by the tour guide on that day, ensuring that you get the best views of cherry blossoms. 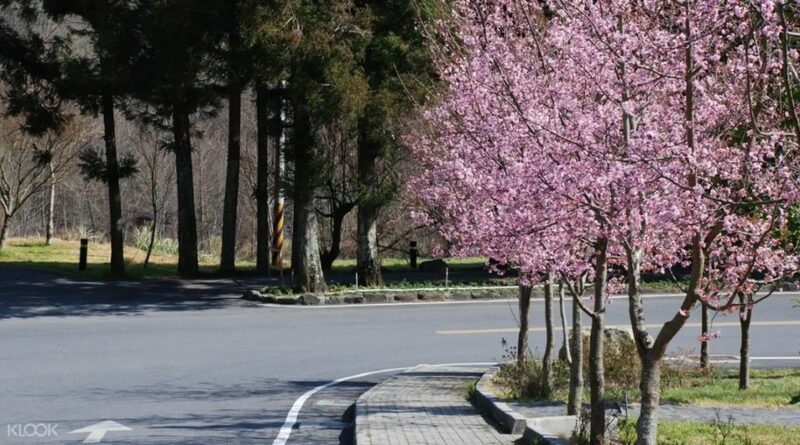 It might be Yeouido Hangang Park, Uiwang City Hall Cherry Blossom Street or even Dream Forest! The possibilities are endless on this tour. You’ll also get to have a gimbap, a traditional Korean dish, for lunch! Experience Korea’s biggest annual Spring festival — Jinhae Gunjahe Festival on this tour! 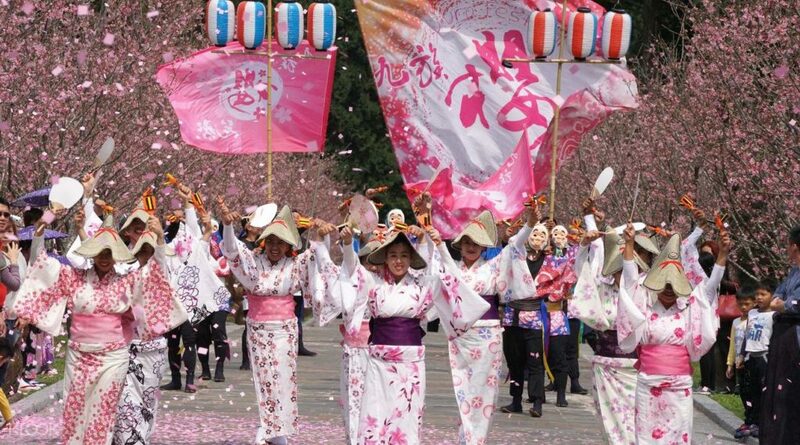 You’ll get to watch cultural shows and activities, enjoy a military performance and view stunning cherry blossoms at the best viewing spots. It is no wonder this festival is the biggest one in Korea, attracting more than 2 million visitors yearly. 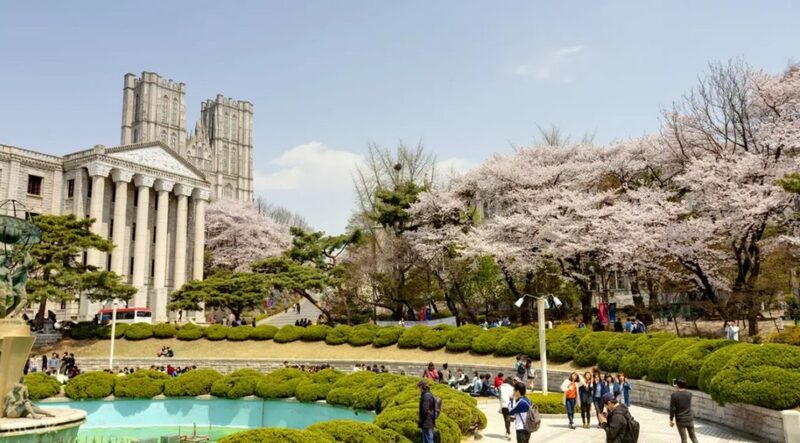 On this tour, you’ll get to have a cultural experience — going to important landmarks in Korean history, learn about their culture, try traditional Korean street food and more! Of course, you’ll also get to enjoy the scenic view of cherry blossoms on this tour. 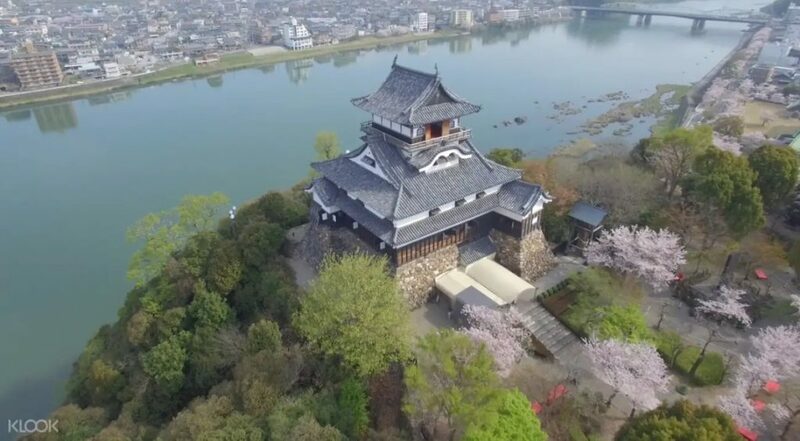 See amazing views of cherry blossoms from the castle keep at Inuyama Castle, the oldest existing castle in Japan. Then, visit the magnificent Sanko Inari Shrine and walk through the Urakuen Garden and learn about Japan’s rich history! Visit famous cherry blossom spots and admire multiple species of cherry blossoms, like the Yoshino cherry! 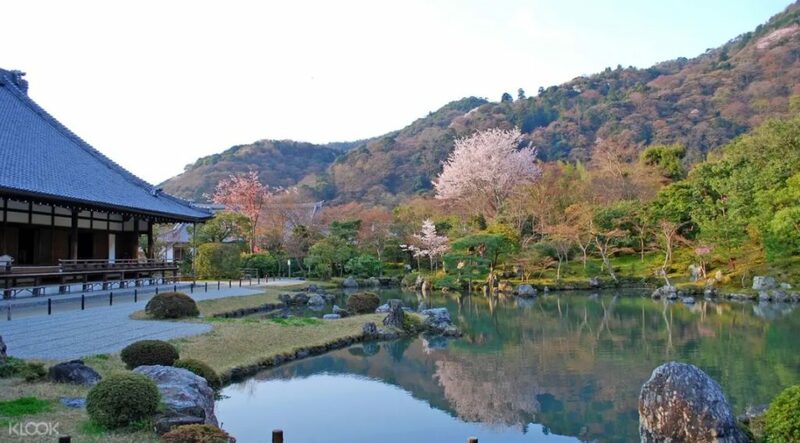 Have a peaceful and intimate walk around the Tenryu-Ji and Ninna-ji temples, Kyoto’s famous UNESCO World Heritage sites, as well as Arashiyama, one of Kyoto’s most prominent spots, all while taking in the stunning views of cherry blossoms.